Agedashi-Tofu, which is a typical Japanese homemade dish, is fried tofu with Dashi sauce. Tofu is an important ingredient in Buddhist cuisine. Japanese think this is a macribian food because tofu is high in great-quality-protein. 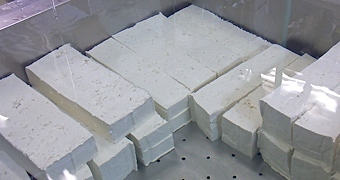 Tofu is made from only soybean. 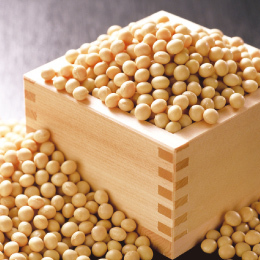 The soybean is called “Meat of a field” because it is rich in nutrients, which are linoleum acid, lecithin, isoflavone, saonin, trypsin inhibitor and so on. And also tofu is low calorie and high in water so it is good as a diet food. Let’s try to eat 1/4 pack of tofu every day! Categories: Fried, Tofu | Tags: Dashi, Healthy, Homemade, isoflavone, Japan, Kelp, lecithin, linoleum acid, Low calorie, Nutrition, protein, recipe, saonin, Soybean, Tofu, Traditional, trypsin inhibitor, vegan, Vegetarian | Permalink.